Another new release that I surprised myself by picking up recently was the Too Faced Chocolate Bar Eye Shadow Collection. I was in my local Ulta store, drooling over the Too Faced La Crème Lipstick in Jelly Bean (reviewed here), when this new palette caught my eye. Housed in a sturdy metal case that looks like a giant bar of chocolate, this palette offers sixteen beautiful shades (all of which smell of chocolate!) My palette was unfortunately a bit marked up when I opened it, as one of the shades (Amaretto) had come loose in the packaging. But it was the last one available in my local store (the Chocolate Bar palette is apparently permanent, though) and I wanted to use a 20% off coupon that I had, so I kept this palette. The damage was merely superficial, anyways, so the only harm done is that I didn't get the thrill of dipping into a perfect, unmarked palette! 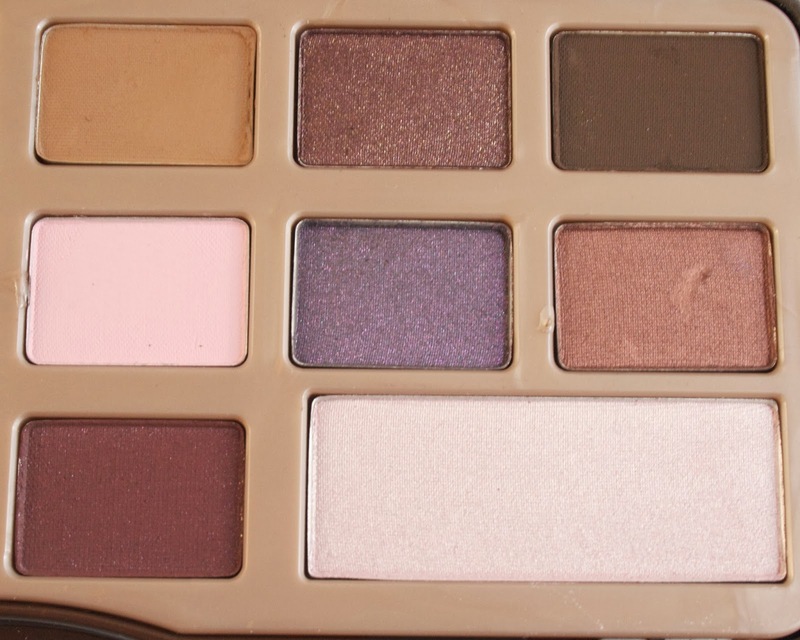 The shades in this palette are a neutral blend of chocolate browns and bronzes, with some pink and plum shades. The most unique shade to me is Candied Violet, a beautiful shimmery purple. 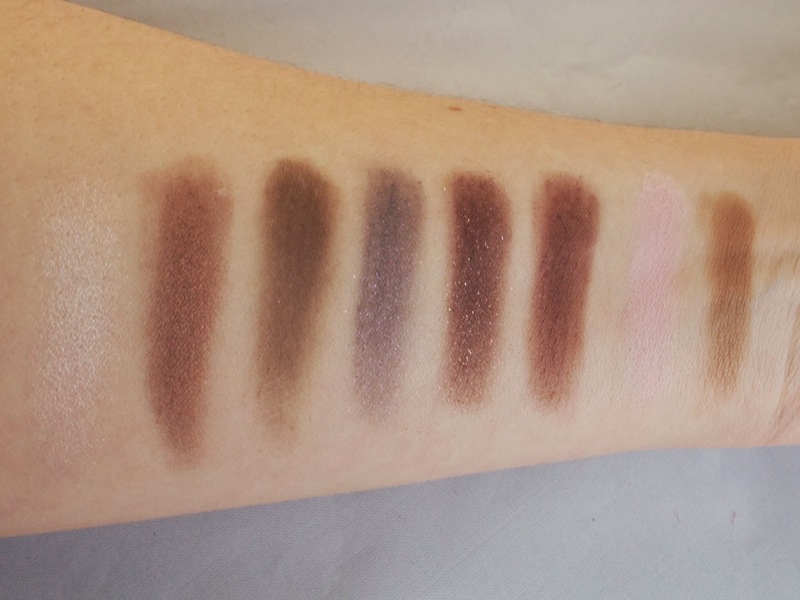 I would never have imagined liking or wearing a shade like Candied Violet, but this palette is already making me think about how I could incorporate it into a neutral eye look. There is a range of finishes in this palette (including mattes, satins, shimmers, and a couple of full-on glitter shades). The consistency and quality of these shadows are outstanding. I found all but one (Triple Fudge) to be very buttery with little fall out. The cohesiveness and variety of this palette also make it incredibly versatile. 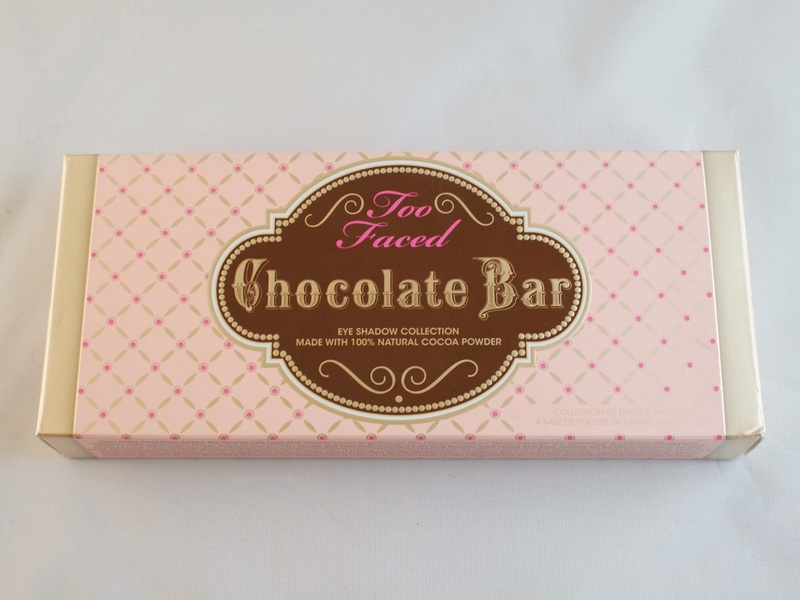 Cost-wise, it is on par with the Urban Decay Naked palettes ($49 for the Too Faced Chocolate Bar vs. $52 for the Urban Decay), but I find the quality of the Too Faced palette to be better and the colors more appealing. The packaging of Chocolate Bar is a bit on the bulky side, but it is also a sturdy metal and it seems like it would hold up to travel well. I also like the magnetic closure of the lid, instead of having a clicking mechanism. The only small thing that bothers me is that the names of the shadows are printed on a plastic insert (and on the back of the outer packaging), but they aren't printed on the palette itself. 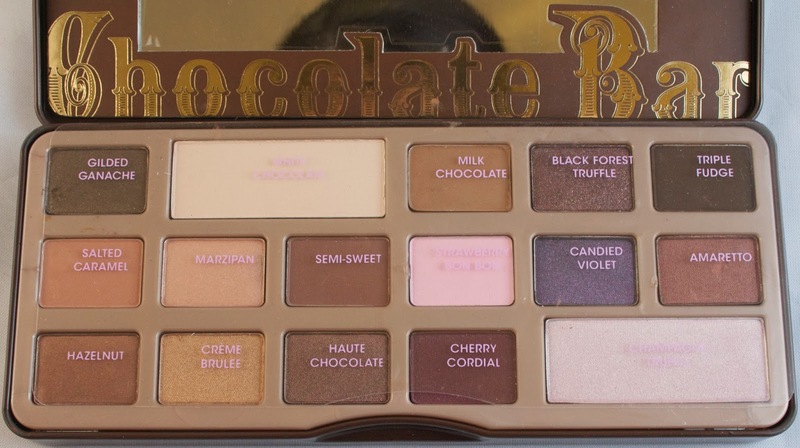 This is a very minor detail, but I like to know the names of the shades--and the names in this palette are very cute and chocolate themed--so I'd prefer to have them in the case. But, other than that, I don't have many complaints! The vast number of combinations that can be made with this palette is a tiny bit overwhelming at first, but in the best possible way! 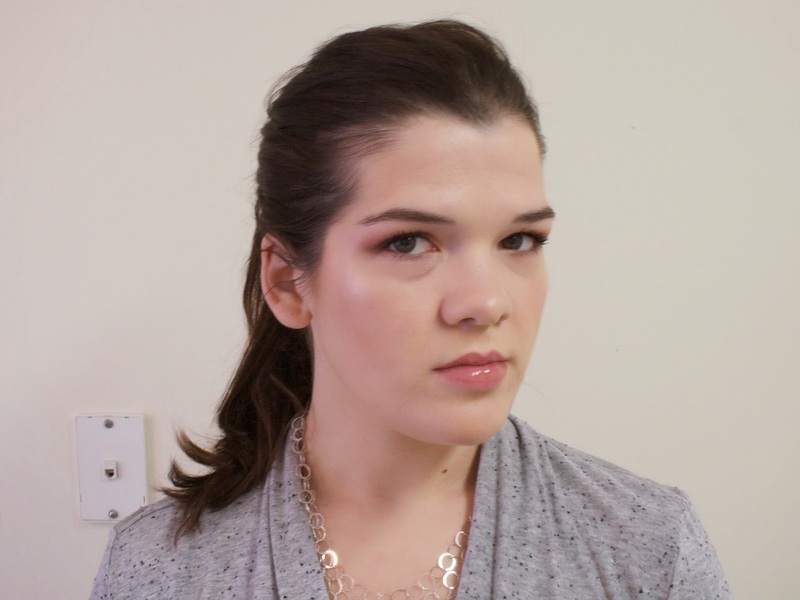 In the photos below, I stuck with a neutral look not too far out of my comfort zone: Marzipan (a warm, slightly peach beige) on the inner half of the lid, Hazelnut (a dark chocolatey bronze) on the outer half of the lid, and Salted Caramel (a warm, mid-toned brown) to blend out the crease. Milk Chocolate (a matte cream) made a perfect eyebrow highlight shade. After years of being almost completely indifferent to Too Faced as a brand, I am now in the middle of a full on love fest! 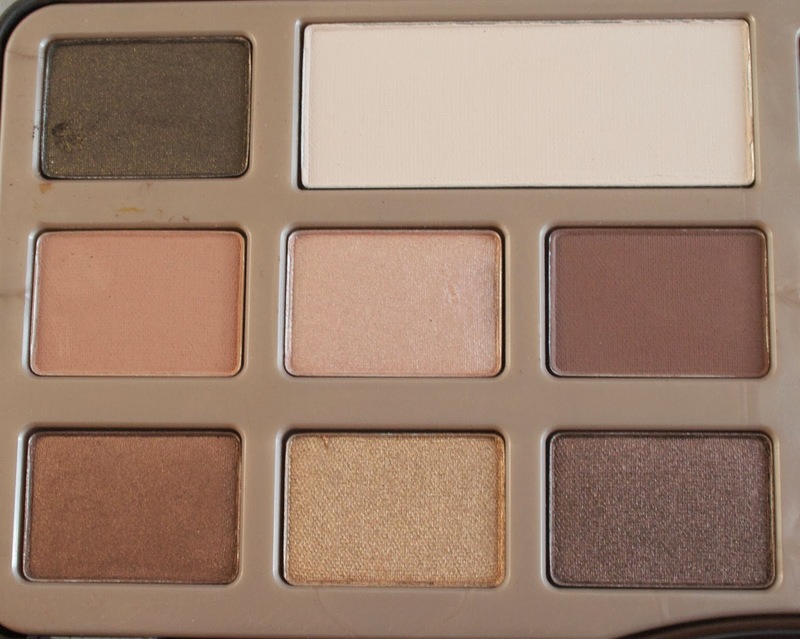 The Chocolate Bar Palette is easily my favorite of the genre of large, neutral palettes spawned by Urban Decay's Naked palette several years back. The Chocolate Bar Eye Shadow Collection seems to be a permanent addition to Too Faced's lineup, so there's plenty of time to go see it (and smell it) in person! It's also worth noting that since it is permanent, you could wait until somewhere offers a 20% off deal for this palette (Ulta has been doing a lot of 20% off sales lately), which would help bring down the $49 price tag. 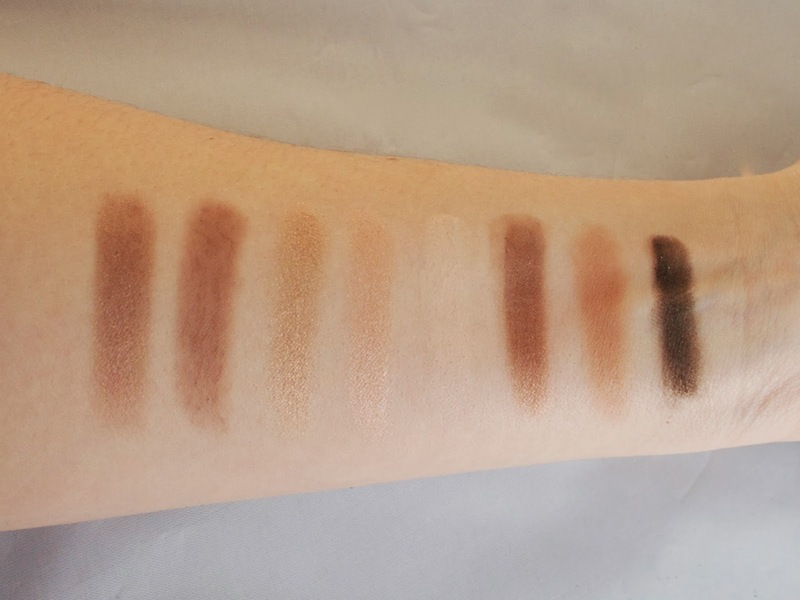 I'm quite confident that most neutral lovers will be impressed with the quality of the shadows in person. 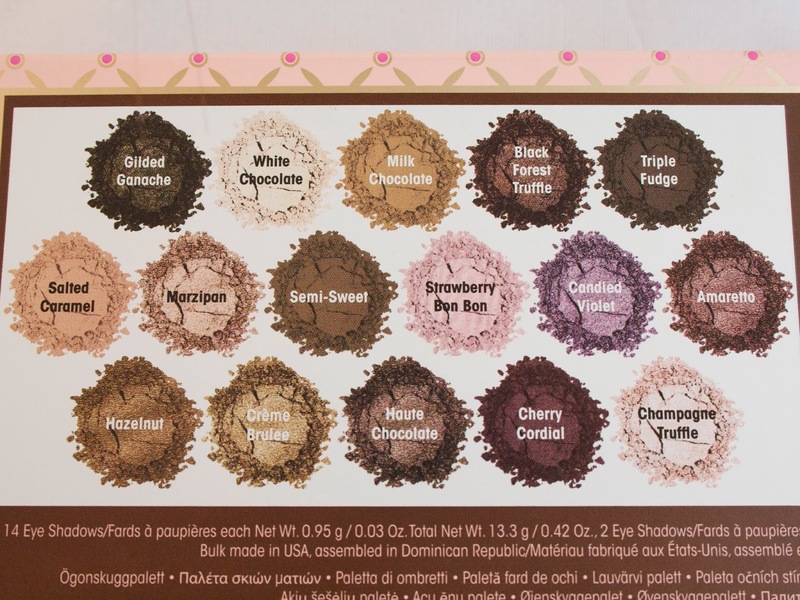 The Too Faced Chocolate Bar Eye Shadow Collection is available at Ulta and Sephora. Have you picked up this palette yet or swatched it in stores? Do you like it as much as I do?